The sunlight gathered on Mt Victoria in Whanganui a Tara this week as I sat at the Wharewaka, in a workshop on Crown-Maori Relations. Mount Victoria has two names which represent its history as a windswept lookout - Tangi-te-keo, "cry of the wind", and Matai-rangi, or "gazing towards heaven". It appears that the heights of the peaks were the perfect platform to light the fires of occupation, and both warn off invaders while also revealing the ahi kaa. And so it was a great backdrop for the workshop to proceed. Minister Kelvin Davis had invited just a few of us – Pauline Kingi, Rangi McLean, Lt Col Ian Huston, John Tamihere, Robin Hapi and me to ponder on a few questions : what should be the three major priorities of his portfolio; how to ensure ‘mana-enhancing’ engagement; how would we be able to gauge a healthy relationship between Māori and the Crown? 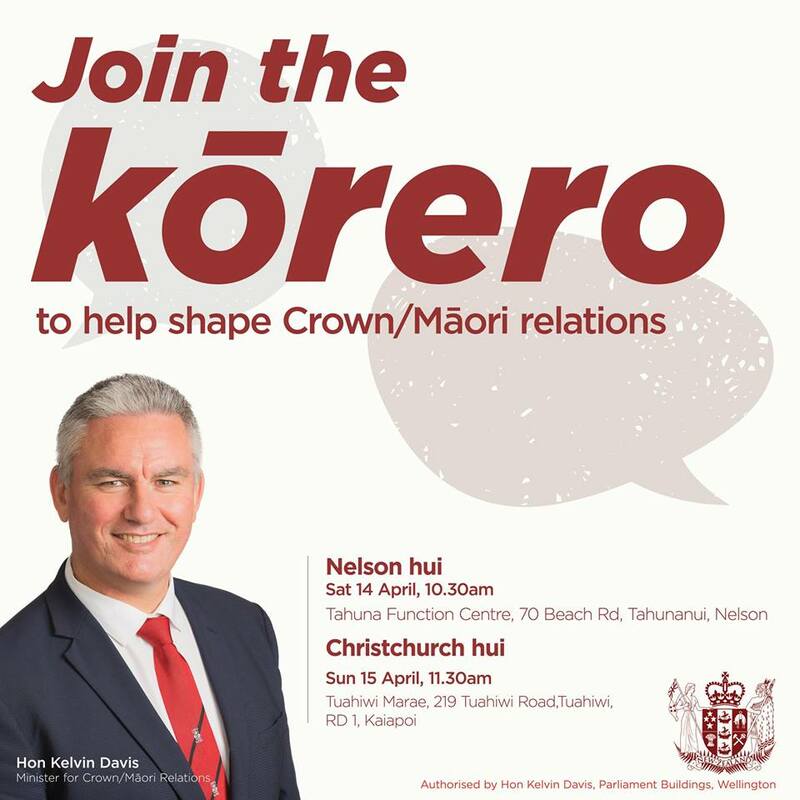 If you can’t make it to the hui, go online and share your views at www.justice.govt.nz/crown-maori before 30 May. Te Pūtahitanga o Te Waipounamu is partnering with Rangitane o Wairau Ahi Kaa Incorporated to deliver Ngā Pakiaka Morehu o Te Whenua in Marlborough. The aim is to increase awareness amongst Ahi Kaa of their historical roles and responsibilities as kaitiaki. The initiative is about promoting an increase in cultural competency to achieve whanaungatanga within Rangitane whānau, hapu and iwi. Whānau will engage through a series of six storytelling wānanga that will be held on sites of significance that are integral parts of the Rangitane cultural identity. The wānanga will be a resource for future whānau learning of customary values and practices of Rangitane whānau. Ngati Koata have a wonderful way of keeping their kaumātua warm. They have an annual initiative in partnership with Tasman Pine, where they split, load and transport firewood from their forestry for Ngati Koata whānau for whānau. I am delighted to announce that Jasmine Briggs (Te Hapū o Ngāti Wheke (Rāpaki), Ngāi Tūāhuriri, Te Rūnanga o Koukourārata) is our new Senior Administrator / Personal Assistant. 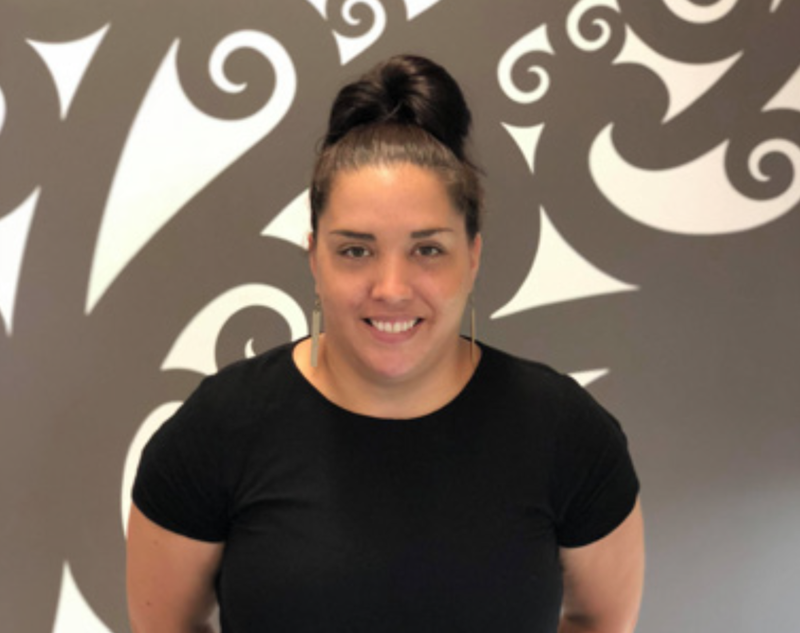 Jasmine brings with her the passion of her experience at Te Ora Hou Ōtautahi and considerable skills and networks from her roles at Work and Income including Service Quality Officer; Hospital Liaison; Prisoner Reintegration; and case manager. She has achieved a number of opportunities through the Ministry of Social Development including being selected to attend the Women in Leadership Conference; completing NCEA Level 3 – First Line Management; Working with Teams; Communication Skills for Coaching in the Workplace and Problem Solving. Jasmine and her partner have three beautiful children aged 14, 11 and 2 years old. Women currently working throughout NZ have a final opportunity to register their interest in a scholarship worth up to $8,000 to support participation in an accredited leadership development program. Helen Quirke works as a naturopath in Arowhenua. Te Pūtahitanga o Te Waipounamu has partnered with Helen for the initiative Mauri Ora. The goal of Mauri Ora is to bridge the gap between education and holistic health in Arowhenua. The Mauri Ora initiative will work with kaiako from Arowhenua Māori School to develop individual wellness plans based on the specific needs and goals of the individual kaiako with the focus of improving the work life balance. By adopting a staff wellbeing plan in a kaupapa Māori framework, it becomes part of the school culture and once kaiako are well into their journey the next phase will be to incorporate this with the kura whānau and tamariki. 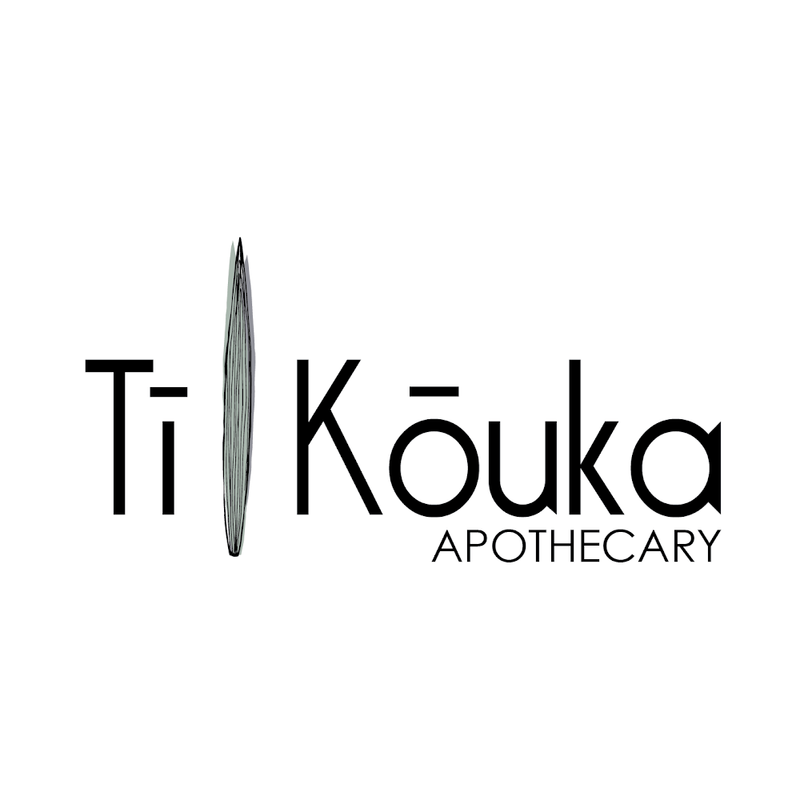 The initiative utilizes Te Rakai Tau Weka as a storeroom for all of the natural remedies and products for the Wellness Plans. 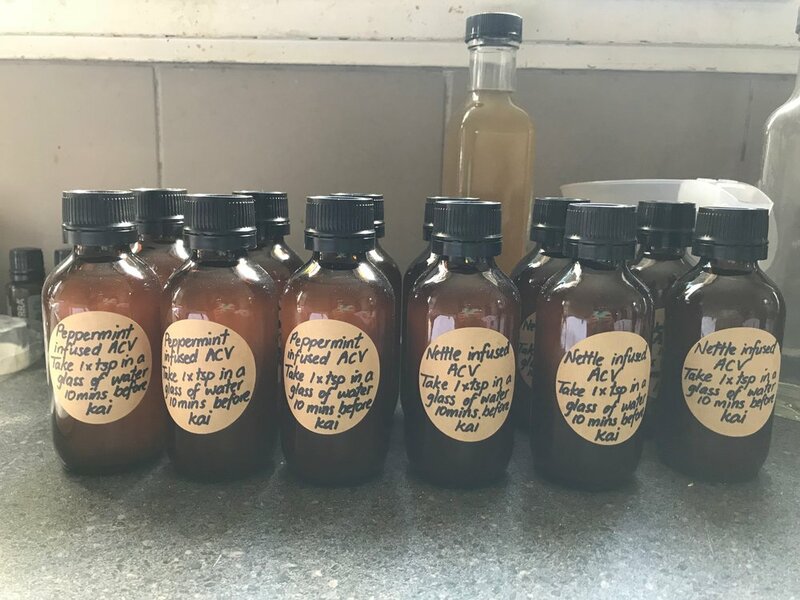 This will aid in supplying of raw and fresh herbal material for whānau. Consultations and treatment for kaiako will be free of charge and each kaiako will be provided with resources through Te Pūtahitanga o Te Waipounamu funding. While we are on the topic of education pathways, it was with sadness that Te Kura Kaupapa Maori o Whānau Tahi in Christchurch bid farewell to their Tumuaki, Whaea Melanie Riwai-Couch. Whaea Mel was instrumental in an initiative we invested in during our first wave of funding, Poipoia. The kura engaged in planning and consultation with their whanau and the community as a result of the school merger proposals in Christchurch. Through this process, they understood whanau needs and priorities for their tamariki. In particular whanau had expressed their desire to have support for te reo and homework which led to the concept of an after school learning centre delivered in te reo, to support tamariki. The idea of establishing Poipoia was developed to address this need. The Poipoia concept was created with the aim of achieving two key objectives. The first was to establish a Maori immersion homework centre to support learners. The second was to provide wider language support for whanau who have Maori speaking children at home. Whaea Mel is pictured below with Matua Te Mairiki Williams and my son, Rangipunehu. Te Pūtahitanga o Te Waipounamu wishes Whaea Mel well in her new journey focused on education evaluation. Sir Mason Durie speaks with a freshness and clarity of understanding, if you have been fortunate enough to hear him speak before you will know that this is an opportunity not to be missed. Sir Mason will unwrap how Māori wellbeing is the product of combined forces acting on the past and present experiences so that future prospects can be enhanced. Ngā Pākihi Whakatekateka o Waitaha Cultural Council has been promoting, supporting and encouraging Māori performing arts in Waitaha since 1965. Te Kiato Riwai founded the first kapahaka competitions in Te Waipounamu because she believed performance encouraged prosperity and provided a way in which Māori could declare their aspirations and hopes for the future. Tomorrow, months of incredible commitment, long hard practices, and dedication to the kaupapa comes to the fore as the teams turn up to Horncastle Arena in Christchurch and give it their best. I can’t wait for the day to begin!